While perhaps not the most practical cookbook I've ever read, Prohibition Bakery is definitely the most entertaining cookbook I think I've ever read. 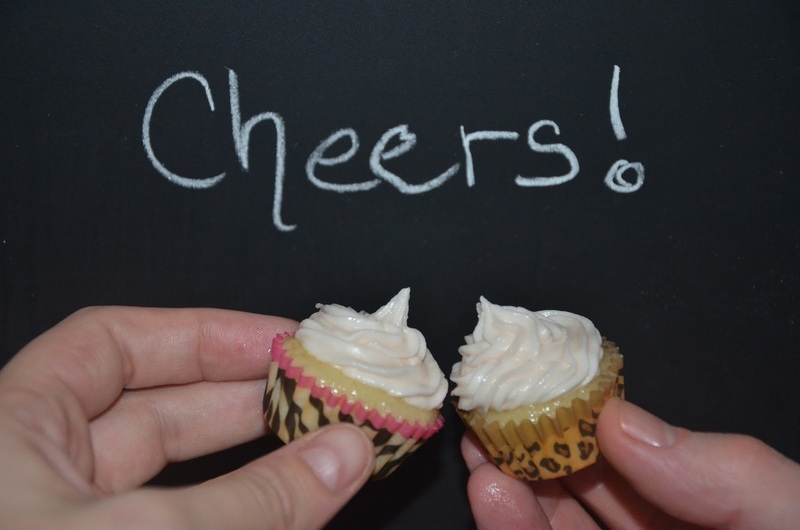 It's funny, informative and really cheeky - just what you'd expect from a book about boozy cupcakes from inspired by prohibition era cocktails. Leslie Feinberg & Brooke Siem had seen better days when they decided to get together to drink and bake their problems away and rather than just having the ultimate girls' night in, they came up with the idea for their now rather hip & trendy bakery in New York City. 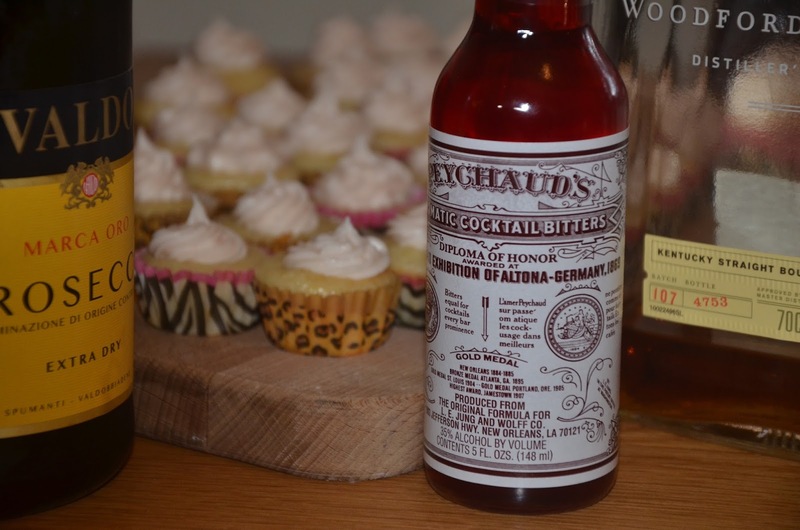 A bakery that sells cupcake versions of prohibition era cupcakes... It doesn't get much cooler than that. 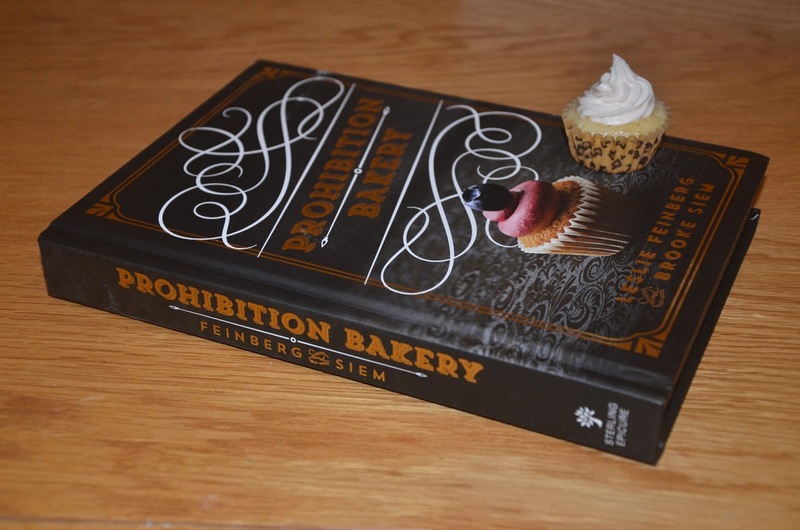 Prohibition Bakery is a beautifully presented, hard-back cookbook full of fun, historical images and beautiful photos of the boozy creations you'll no doubt be super excited to bake. 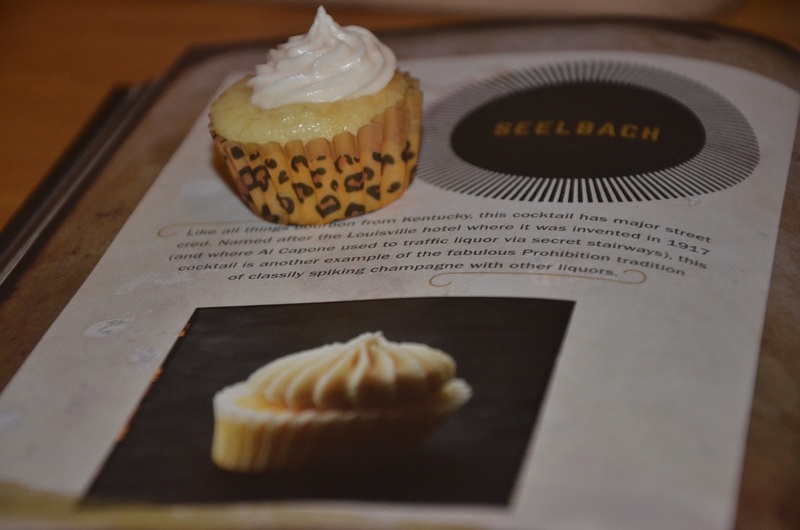 The recipes are intended to be baked as miniature cupcakes so that each cake can be eaten in one bite to combine all the flavors at once, as though you were having a sip of your favorite mixed cocktail. That said, before you start baking, you'll want to invest in a mini-cupcake tin if you don't have one as well as some appropriately sized cupcake liners. 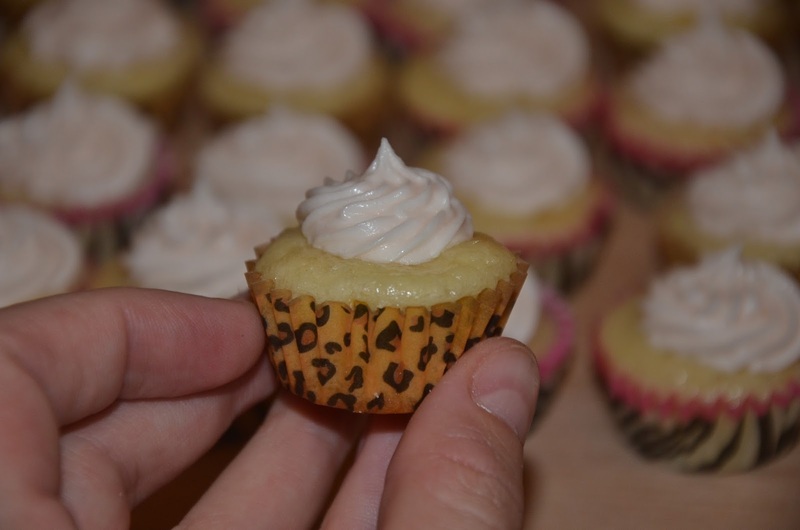 While the authors do say that it's perfectly fine to make these as regular sized cupcakes, they insist that having them in one bite is essential to the flavor combo... I think they'd work either way, but the fun is in the bite sized version and to be honest, it's easier to eat more of them when they're tiny. Additionally, these little beauties are party perfect, so while you're at it, you might as well invest in some piping equipment to make icing them super easy, quick and pretty, as well as some squeeze bottles for injecting the filling into the cakes. It seems like a lot, but getting this equipment into my kitchen wasn't at all expensive and now I'm glad I have these little pieces of kit for other projects. All in all, I think I spent less about £15 to get these supplies and I feel like I'm definitely going to get a lot of mileage out of them. Cake that packs a punch! Normally, I try a few recipes from a cookbook I review here on Pink Julep to try to assess whether or not the recipes work, if they're good and get a feel for how well they're written. With this particular book, I have had to rely on just one recipe. I pride myself on having a fully stocked bar, but even I don't have all the booze on hand that's required to make many of these recipes. In addition to that, I didn't want to be packing up hundreds of boozy baked goods, so I only tried one recipe. The Seelbach is a cocktail that was invented during the early 20th Century. 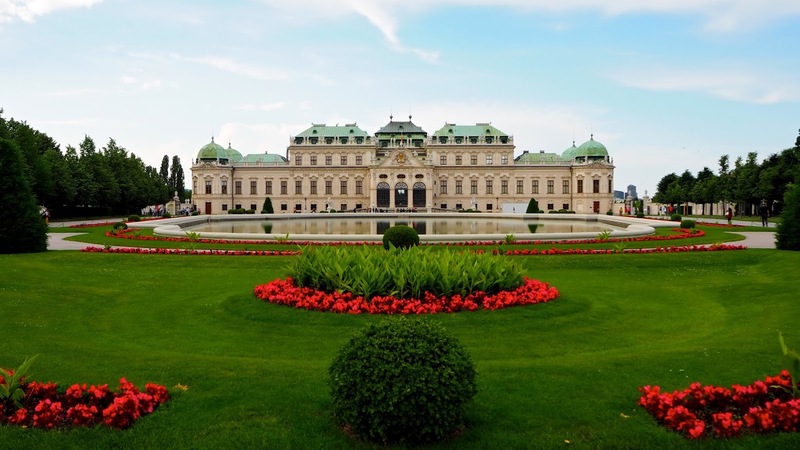 It's named for the legendary hotel in Louisville, Kentucky where it was created. The Seelbach is not only well-known for it's dodgy past as a haven for gangsters like Al Capone, but also as the inspiration for the setting of Tom & Daisy Buchannan's wedding in The Great Gatsby. Fitzgerald was just one of many celebrity guests who've stayed there, including John F. Kennedy, Franklin D. Roosevelt, Bill Clinton, Elvis Presley, Robin Williams, Julia Child, Billy Joel and The Rolling Stones to name a few. I once visited the famed hotel on a school trip for breakfast as a kid and it was such a great day... I have quite fond memories of this place which still holds the award for the best breakfast I've ever had, so it was only appropriate that I chose this recipe from the book to bake for my review. The Seelbach is another in a long line of cocktails from the prohibition era that involves spiking Champagne with other liquors, which in this instance is Bourbon. As a Kentucky girl, I love Bourbon, but I've never before had it with Champagne. 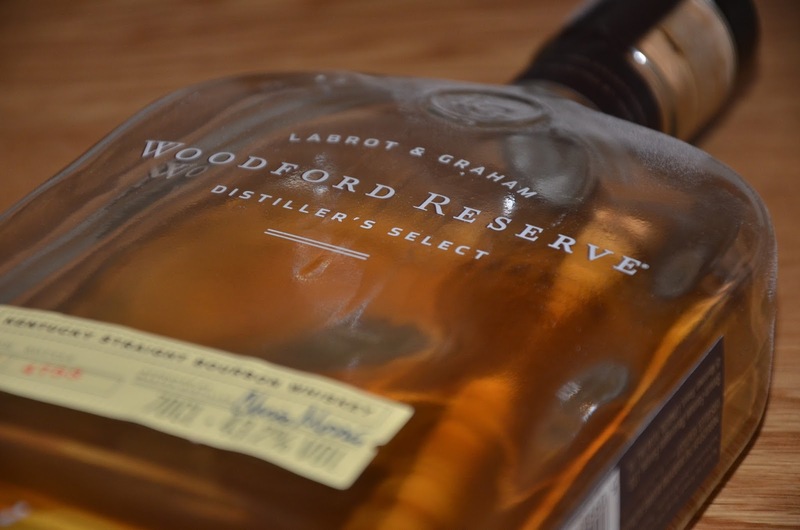 Naturally, I'm never without a bottle of my favorite, Woodford Reserve. The cupcake is actually a lemon flavored cake with Champagne jelly filling and an icing made with bourbon and Peychaud's Bitters. I didn't know how this would taste, but I'm delighted to report that it's incredible. I can only describe it as a real drink and a cupcake got married and had a baby. It's a cupcake cocktail and it totally works! Not only did this recipe tick all the boxes, but it was also great fun to make... I sometimes find baking a little stressful and tedious, but this was super fun. I will be definitely be making more cocktail cupcakes in the future - they're so much fun and everyone loves them! The finished product... Delicious & potent, just like a proper cocktail! 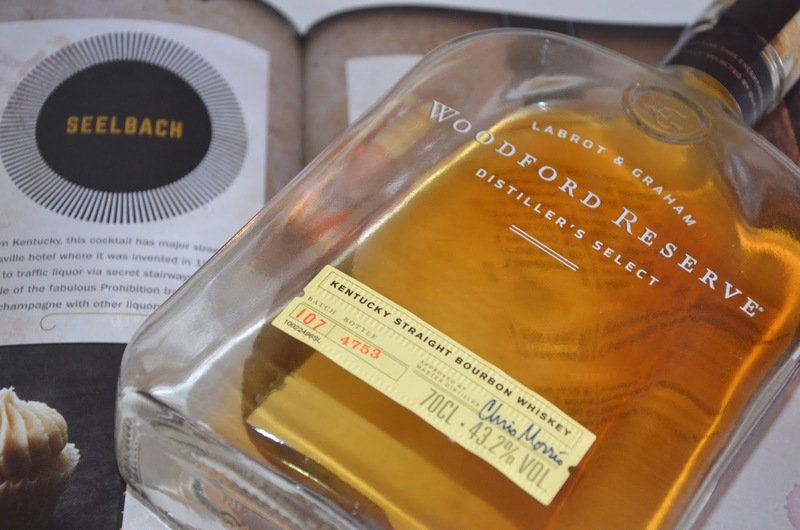 In addition to the cupcake recipes, stories and historical tidbits, there are also recipes for cocktails and infusions. The book also gives great advice on stocking a kitchen and tips for how to get fillings, ganaches & jellies just right. All in all, this book is a winner for me and I think I'm going to be enjoying it for decades to come... 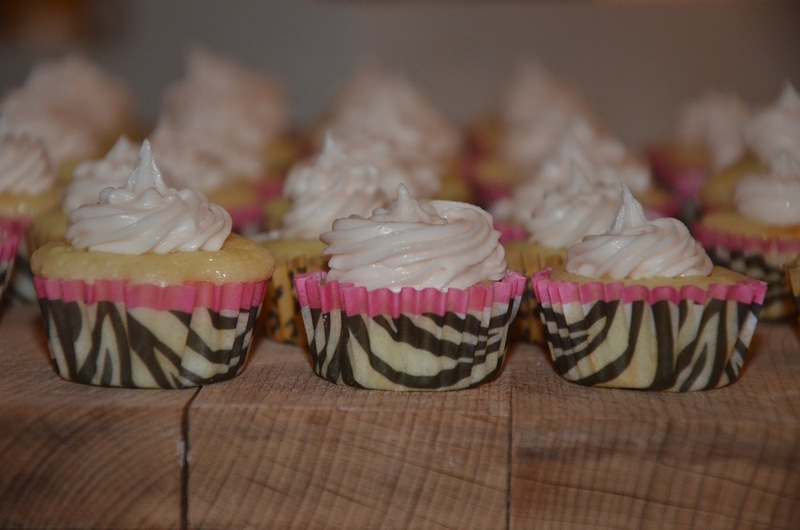 I might even whip up a batch of these beauties for my birthday party next month! Prohibition Bakery is £14.99 now available in the UK via GMC Group directly or from bookstores including Waterstones and W.H. Smith.